So CRUMBS finally popped the Southern Hemisphere cherry. We did the Wellington International Improv Festival thanks mostly to Derek Flores who vouched for us. The festival was fun and we met a bunch of people, mostly Kiwis. People in New Zealand are damn nice... Or should I say "sweet as". Well we saw a live Kiwi (the bird as well as the people). We learned to say "sweet as"
Experienced my birthday a day early and in spring. Experienced crazy wind in Wellington... c'mon Wellington, can you do something about the wind already? Experienced a 5.0 Aftershock in Christchurch. Go see the Ron Mueck exhibit at the Christchurch Art Gallery, check it out folks. Played Dinosaurs in our CRUMBS show in Wellington. Totally rocked the massage chairs in the Hostel in Wellington. Ate at the Burger Fuel in Wellington. So all in all, New Zealand did in fact rock (in the case of Christchurch, it rocked back and forth and up and down). 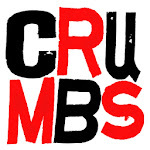 CRUMBS will return to the Southern Hemisphere and rock it some more.